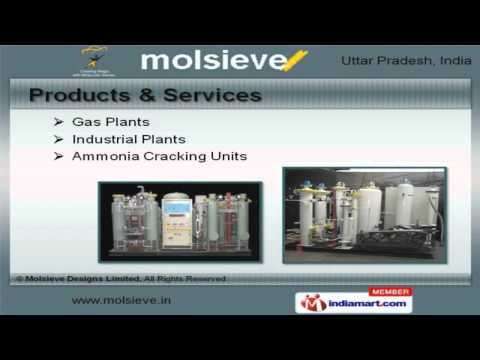 Welcome to Molsieve, Offering Gas Plants and Gas Piping Solutions. The company was established in 2002 at Noida. We export to Middle East, Morocco and other countries. Client centric approach, Market leading prices and customized solutions make us the first choice of our clients. We offer a wide assortment of Ammonia Cracking Units, Gas and Industrial Plants. Our Ammonia Crackers, Compressed Air and Hydrogen Purification Systems are best in the industry amongst others. We offer Pressure Vessels and Gas Air Dryers that are widely appreciated in the market. Gas Analyzers and Samplers offered by us are reckoned all over the world for their superb quality. Along with that we offer Oil Skimmers and Industrial Gas Piping Solutions that are a class apart. We also provide Compressed Air Systems for Steel Industry that are one of the best in the market.